Marijuana is a toxin. That does not prevent the youth of today from using it. It is the responsibility of adults to teach and encourage youth to make the right choice and not smoke weed. This problem is mostly being ignored. Making marijuana legal — as California has done beginning Jan. 1 — does not make it less harmful. Teens usually make the decision to use marijuana based on one of four factors: curiosity, friends, self-medication or social media. 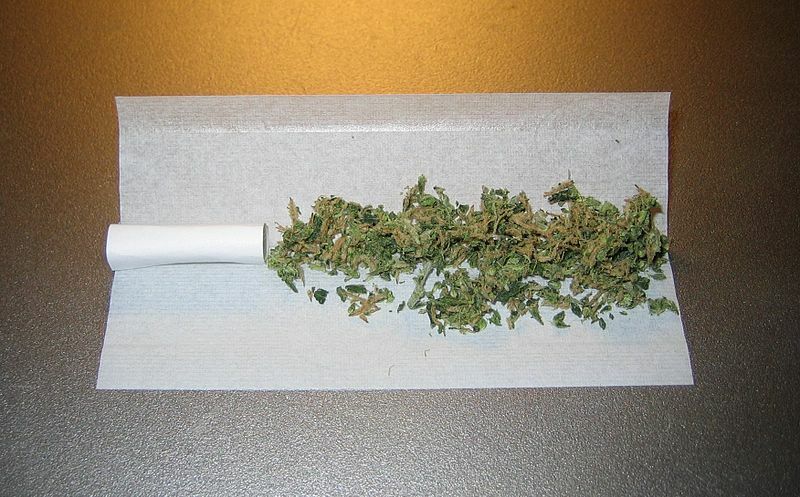 Many teens are merely curious about getting high and wonder what the big deal is. They begin by trying only for the experience, thinking they are invincible and they are not the type of people to get addicted. Teens are mostly trying to fit in and find a place in their society. According to research, when teens were asked why they use marijuana, 29 percent said it was because their friends use it. It is no secret that some teens are troubled. According to a recent article, the U.S. Department of Health and Human Services estimates that one in five teens has a diagnosable mental health disorder, and about a third show symptoms of depression. To numb the pain, teens may turn to drugs. Social media influences our lives in many ways, one of which is the sponsoring and promotion of marijuana in songs and ads. The music that teens listen to makes marijuana seem cool, according to 45 percent of teens who responded to a recent survey. And the same number of teens agree that movies and TV shows make drugs seem like an OK thing to do. Marijuana is poisoning the minds of youth. I want my generation to grow up and change the world, but we cannot do that if most of them are addicted to being high. Do you think Elon Musk just randomly thought of creating the Tesla while sharing a joint with Martin Eberhard? No. These were brilliant people who continue to influence us, not because they grew up in the “high life,” but because they actually had all of their brain cells functioning when faced with challenges. We are the future, and the future depends on what you teach us. Why is the adult generation modeling that it is okay to use marijuana and that there is no harm to our developing young minds? When the adults of today retire, it will be my generation that is going to be leaders in the world, deciding life-changing movements that will impact everyone, including all of us today. We do not need a bunch of stoneheads making decisions and running our society. Adults need to lead by setting the right example. Youth like me need to take responsibility. I ask responsible adults to lead us in the right direction by making decisions and laws that keep us healthy and able to lead the next generation. Nardin Georgeos is a high school student in Lemon Grove and a member of the East County Youth Coalition.